This guide is for all the new and returning players of KaW. This will help with things such as creating charms and trading basics to bring you up to speed on the modern KaW. Creating charms is a very simple process that varies depending on the device you use. Android: Swipe left near the top of the screen where it describes what the mage is. Apple: Swipe left -or- right anywhere on the screen. Now you have reached the transmuting screen. 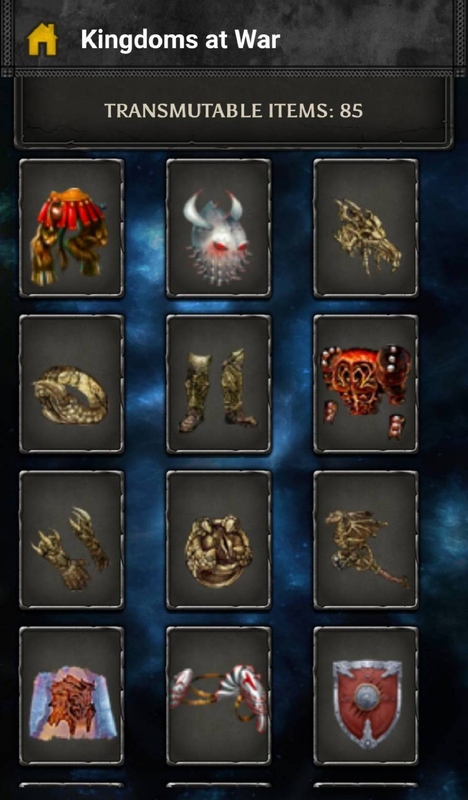 You can now see all of your non-equipped pieces of equipment. You can click on any one of them and a blue circle will appear. Hold the circle down to transmute the equipment. 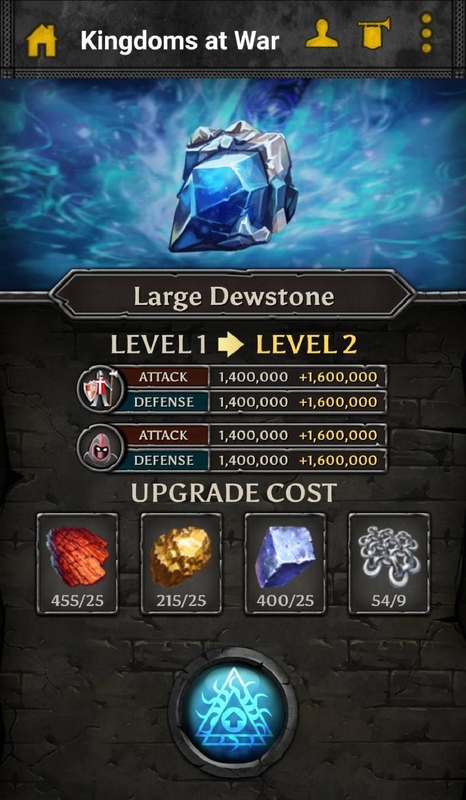 However, once you have transmuted a piece of equipment, you will not be able to equip it as equipment. ~As a tip: make sure your equipment is fully enchanted to its max level. It will make the charm more valuable and powerful. Trading has become a very popular and important feature in modern KaW. Knowing the basics is very important. People usually trade charms for furniture, -or- charms for charms, but some will trade rewards for charms (-or- charms for rewards), as well as trading furniture for furniture. We're gonna focus on buying furniture with charms. To begin with, you'll need to be friends with whoever you plan to trade with. Open the private message screen (PM) and look to the left of your text box: you'll see two arrows. Select the arrows to get into the trading area. From there you can trade any item listed. There are different tabs to select your specific items, whether that would be: charms, rewards, furniture, boxes, -or- all. Next, you should already know what combined stats (CS) are, and how to find it on your account. We'll be doing the same thing with charms. When trading, a good way to find the CS of charms is to use an alt or friend. When you start the trade with an alt (-or- friend), include your charms, it will then tell you the CS once you send it. Then you can cancel the trade after figuring out the CS. You can also see the stats of a specific charm if you press and hold down on it. You can quickly add these together to find the total. Once you have the desired CS, send those charms to the person you are trading with in order to buy the piece of furniture you want. Provided below is a rough outline of the price of furniture in charms CS. The price of furniture, chests, and charms fluctuate just like any other real-world market. This is its own economy so there are various ups and downs. The price is determined by a number of factors including rarity, level, and desirability. Note: Cows and manticores are less expensive because awhile back the Devs gave everyone a manticore, and eventually a cow. Therefore the number of manticores and cows brought the price down exponentially. As they are still extremely common, the price has fluctuated a little and gone up. You can only trade royal chests. 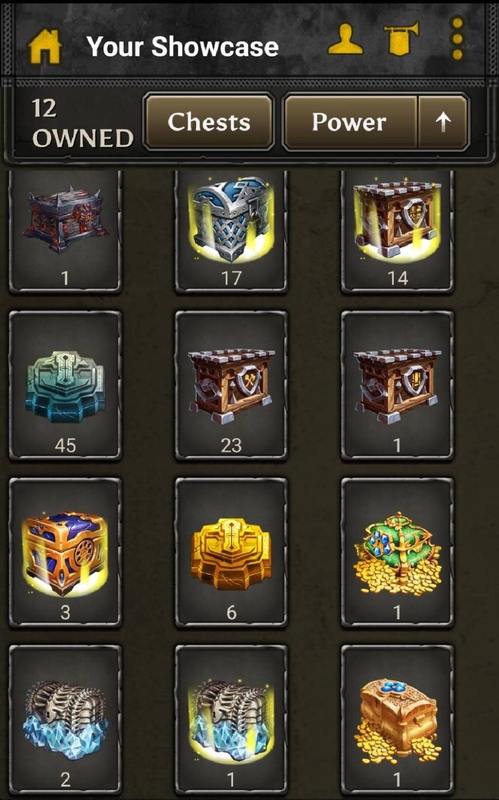 These are the chests that require a royal chest key to open. The prices on these fluctuate quite a bit. For a current event box, the price will be around 5 Mil at the beginning of an event, and it will soon depreciate as the event moves on. At the end of the event, you should see them going for 500k. Most old royals will go anywhere between 500k and 2 Mil. It will mostly depend on the seller. Hopefully, this price guide will keep you from getting scammed. Keep in mind that these are general prices, and there will be exceptions to these. Don't forget, it's trading, you may be able to haggle a better deal out of someone. Once a piece is upgraded, you can't degrade it. It also decreases the price in a sense. There's no real way to make a guide to buying furniture at higher levels. I thought and struggled a lot with this section and got some second and third opinions, but it's not possible to explain it. It's not possible to explain how a lvl 10 item costs considerably less than what it should at its level simply because of the market and seller. Say you want to buy a lvl 10 throne, you'll have to pay at bulk price and multiply that price by 74. You do this because that's how many thrones it took to ug it from lvl 9 to 10. So say the price ends up being 300 x 74, that means the throne should cost 22.2 Bil. Thing is, no one is EVER gonna buy it at that price. At most, maybe 11-18 bil. Simply because of the market and what people are willing to pay, not to mention such little demand for things at that level. So you see, there's no way to make a guide for that sort of thing, you'll just have to go out and figure it out for yourself. It's best not to ug an item if you don't plan on keeping it, you'll make a lot more profit that way. There are some furniture pieces you shouldn't dismantle though. For example: Bone Set, Murkfrost Set, Autumnal Set. The reason you don't want to dismantle these pieces is because they are rare -or- extremely sought after. They can sell for more than the usual prices. These pieces are exceptions and will yield better profits if you sell them. If you're ever unsure about which items to dismantle -or- not to, feel free to ask around. 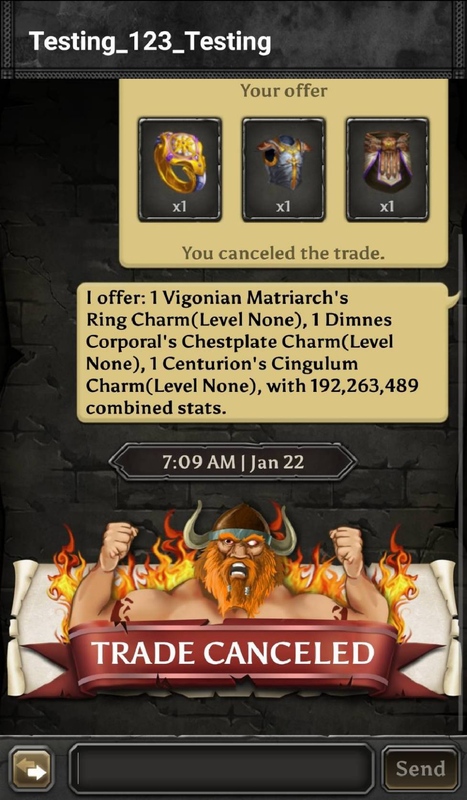 A trusted trader or even wc can help you. karamel_apples for help with BBcode. Neon_Lion, shelby_lynnXO, Ve, karamel_apples, and Blue for helping me on proofreading and editing. Copperhead2010_TDT, thewithz_TDT and TheAlpha for being my test subjects and giving input. LeBron James, SupaBoy, MrBiscuit, _wizardofoz_, and Kortz for help on prices and professional input. Thank you! I couldn't have done it without you guys. Also, shout out to The Dark Tributes for the clan wide support! My very first and best mentor who taught me everything I needed to know to begin trading. Thank you Harvester, you were amazing and got me going on the right path to begin trading. I couldn't have done any of this without your initial help. Truly, thank you Bro. I'm always open to questions, comments -or- concerns as well. Best of luck to all of you in your endeavors. Last edited by WARLORD_Tribute on Feb 8 2019, 6:19am, edited 1 time in total. Seals are NOT 120 mil. Lowest is around 150 if you’re lucky to upwards 250 mil. 100 circles I’ve never seen lower than 200 mil. Appreciate the effort that went into the thread. It seems like something that will be able to help those new to trading for quite some time. Good job War! Thank you!